Atlas are a finnish band from the city of Nokia. Their sound is described as "Northcore”, which I don’t quite understand to tell the truth, but more on that later. Their debut LP, "Primitive” was released on October 5th, and based on the artwork for the singles and the record itself, I felt like I was in for some pretty artsy, north influenced Metalcore. I was a bit disappointed after going through its 34 minutes however. First of all, the biggest letdown for me was that I can certainly hear the „core” throughout, but I failed to catch the „north” element in the songs, save for the chorus in "On Crooked Stones”. So that was something I was expecting but didn’t get from the band, but that doesn’t necessarily take away from the quality of the album. And quality, it certainly contains a good amount of that, but most of it can be found in the first three tracks, of which "Kaamos” is probably my favourite. In fact, it’s easily the best song "Primitive” has to offer. The softer, mellowy guitars are perfect for Patrick Nuorteva’s clean vocals, and the chorus, which has a real LINKIN PARK-esque feel to it, is amazing, just like every chorus on here. "Skinwalker” and "Feel” are great, because they both have a distinctive feel (no pun intended) to them while having the same stylistic aspects. I appreciated that the instrumental parts in these songs weren’t rushed, I didn’t feel like the musicians were just trying to bring their parts to the next vocal section of the song, but took their time to build an identity of their own. But that’s exactly what’s missing from the second half of the album, changing things up. Besides some choruses, the record gets really bland after the title track. Songs like "Bloodline” and "Pendulum Swing” aren’t bad if you listen to them individually, but if you listen to this LP front-to-back, they’re the definition of 'meh”, because there isn’t anything in them that sets them apart from the first half, except for being less interesting. I would have loved this thing if it only had the first 5 songs with the instrumental title track as the conclusion, and maybe "Pendulum Swing” and "Pareidolia” as bonus tracks for a deluxe edition. 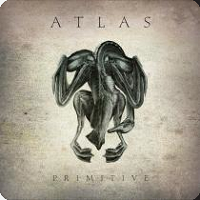 But as it is, I can’t wholeheartedly recommend "Primitive”.